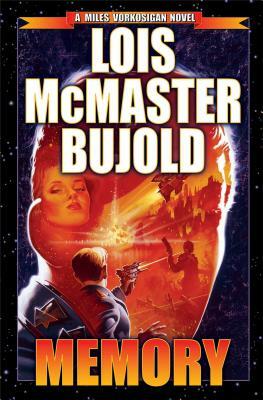 A new edition of Book 11 in Lois McMaster Bujold's multiple New York Times best-selling space opera series, The Vokosigan Saga, winner of five Hugo awards. Forced to abandon his undercover role as leader of the Dendarii Mercenaries, Miles Vorkosigan persuades Emperor Gregor to appoint him Imperial Auditor so he can penetrate Barrayar's intelligence and security operations, AKA ImpSec. Simon Illyan, head of ImpSec and Miles' former boss, is failing physically and mentally--which poses a threat to the Barrayaran Empire itself--and Miles sets out to find out who or what hidden force is behind Illyan's rapid decline. A Hugo and Nebula Award finalist. "Bujold mixes quirky humor with action and] superb character development ... E]normously satisfying." --Publishers Weekly. A science fiction legend, Lois McMaster Bujold has won six Hugo Awards and three Nebula Awards. Her Miles Vorkosigan saga is a hugely popular science fiction mainstay with multiple New York Times bestsellers including previous entries, Captain Vorpatril's Alliance, Cryoburn and Diplomatic Immunity. The mother of two, Ms. Bujold lives in Minneapolis.